Lil Bill's Bike Shop owner Aaron Flournoy met with the owners of the bike store slated to open in University Village in order to discuss working in their new location starting in August. Flournoy said after the meeting on Wednesday that he was still thinking about the offer. "Right now, I'm not willing to commit… when I got my own business going," said Flournoy. Flournoy's shop must leave campus by April 30 due to a non-compete clause in the new bike shop's contract and city zoning regulations. Lil Bill's Bike Shop is currently located in a parking lot at the corner of 34th Street and McClintock Avenue. "Well, I was able to come face-to-face with the new bike owner[s] in the village," Flournoy said in a phone interview. 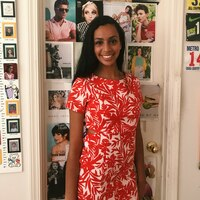 "They want to hire me, want me to give up my business and come work with them." Brian Ruben, one of the founders of Solé Bicycles, said they plan to meet with Flournoy again early next week to come to a decision. Ruben said they were "looking forward to finding a solution that works for all parties involved," and were happy that they had the chance to meet with Flournoy. The founders of Solé Bicycles graduated from USC in 2009 from the Marshall School of Business and founded their company that year in Venice. Their shop in the Village will be the company's second location. Despite the offer, Flournoy is still loyal to his shop. "I'm in my own business as well … and I'm trying to exist just like [they're] trying to exist," Flournoy said. "I'm trying to let Lil Bill's bike shop continue on." Lil Bill's Bike Shop has only been on campus for one year, but Flournoy and his father have served the school's community for over 40 years. 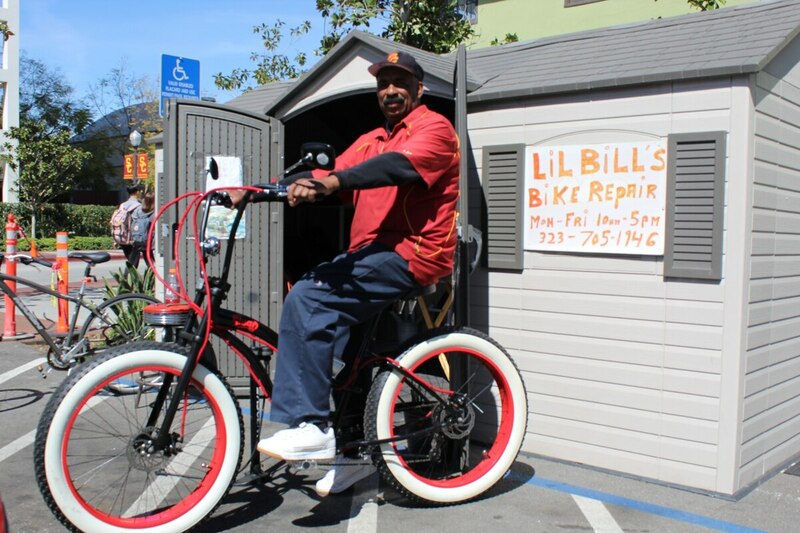 Flournoy founded Lil Bill's when his father's store, Bill's Bike Shop, located on Vermont Avenue, closed. As of April 5, more than 6,000 people had signed an online petition to save Flournoy's shop. Earl Paysinger, the vice president of USC Civic Engagement, expressed his support for both businesses in an email to Annenberg Media. "USC Civic Engagement and other members of the USC family are making every reasonable effort possible to assist [Flournoy]… as well as being respectful of the interests of Solé," said Paysinger. Regardless of the conditions, though, Flournoy was happy to have the opportunity to meet with the new bike store owners. "It was a pleasure meeting the gentlemen [from Solé]," said Flournoy. "We're both small businessmen just trying to grow into the future." Correction: this story was edited to correct a misspelling of Brian Ruben's name, which was incorrectly spelled "Reuben." Reach Staff Reporters Heran Mamo and Cole Sullivan here and here, respectively.